Like vitamins, your body needs minerals in order to function on a day to day basis. Your body cannot synthesize most of these and so they have become known as essential minerals. Minerals are nutrients that can be found in the foods you eat. They are essential for good health and proper growth. Every cell in your body - those in your muscles, organs, skin, tissues, brain - require minerals just like they require vitamins. Each mineral works together with other minerals and vitamins to perform the day to day functions of healthy life. Without a proper balance of the essential vitamins and minerals, your body will not perform at optimum levels. A good, healthy diet that is well balanced should provide you and your body with the minerals it needs. With the poor quality of food today, you must take extra care in order to provide your body with adequate amounts of the essential minerals. 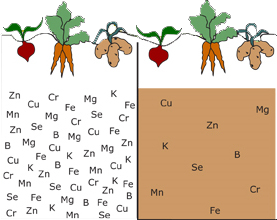 The quantity and quality of minerals found in certain foods depends on the amounts that are present in the soil where the foods were grown. It can even depend on the food livestock were fed. 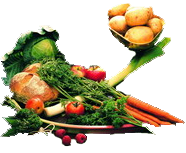 Vitamins and minerals can also be lost from food during storage and transportation, while being processed into different forms and during the cooking process. Because these elements are ESSENTIAL to optimal health it is becoming more essential that a good diet plan includes vitamin and mineral supplementation. Another concern you must consider when looking at your diet and the minerals (or lack of minerals) in it is balance. Many vitamins and minerals work together within the body. 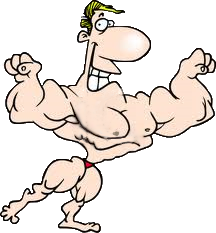 Being deficient in just one can throw off different body functions no matter how much you have of the other minerals. Many people fall into this trap when they find out they are low in a specific vitamin or mineral. They immediately go out and purchase a big bottle and start taking right away. But if they don't have the proper balance of the other vitamins and minerals this overdosing will do no good at all. Good examples of this are seen with things like calcium and iron. Without Vitamin D, calcium will not be absorbed correctly. Vitamin C helps iron be absorbed more efficiently. And almost all of us have seen that calcium needs magnesium in order to work correctly. That is one reason you see calcium supplements that almost always contain magnesium. Depending on the source you consult, you may find differing opinions on the number of essential minerals. Some people consider things like fluorine (fluoride) essential while others don't because it is not necessary for human growth or to sustain life. Chloride - Required for the formation of stomach acids and regulating fluid in the blood vessels and cells. Magnesium- required for processing ATP (cells energy source) and for bones. Helps relax muscles. Zinc- A very important mineral, often overlooked. Important in every cell and also in hair, nails and skin. Helps maintain a healthy immune system, necessary for a healthy reproduction system and normal growth. Your body needs all of these mineral nutrients and it will do what it needs in order to get them. You have probably heard the saying about "taking from Peter to pay Paul". That is exactly what your body will do. Therefore, you must maintain an adequate supply of these nutrients in order to keep the entire body functioning properly and at optimal health.